In preparing for the (no)poem Experimental Ambient mini-tour to Lincoln and Des Moines this weekend with Darwin Grosse, I wanted “up my game” on the Waldorf Blofeld side. This meant not only using original presets from INIT, but also custom wavetables as sources from some of my custom presets. You can upload your own wavetables in both the keyboard and the desktop edition WITHOUT having to use License SL on desktop edition. The blofeld has 38 slots for user wavetables. You select them as oscillator shape sources for Oscillators 1 & 2 by dialing in shapes 80-118. Note, the blofeld has 64 waves per wavetable. 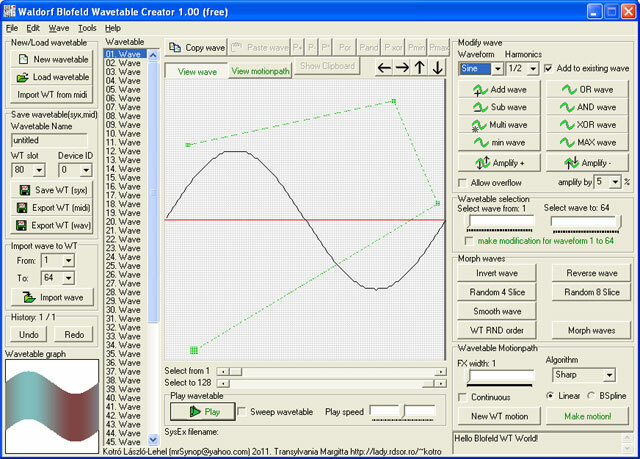 A popular and free app for drawing each wave within a wavetable is Kotró László Lehel’s Waldorf Blofeld Wavetable Creator. He also makes the free and popular Waldorf Blofeld editor. These apps run on windows but members on the Blofeld Facebook forum indicate the apps run fine under Wine (https://www.winehq.org). This app has some other great features like morphing between waves. For example, you could draw the first and last wave in the table, then let the app morph all the waves in between. It has basic basic import of .wav for resynthesis as well. The app lets you then save in a format that you can upload to your blofeld. More on this later in the post. I just started using a pretty great freeware general purpose editor app called Audioterm by Mathias Gurk. It has a super groovy retro interface and green waveform display reminiscent of the Fairlight. It’s not Blofeld specific, but does a great job of resynthesizing audio from various formats and has the option to save into the format Blofeld is looking for. Audioterm is on Facebook here, and you can download the app from a dropbox. Here is a KVR Thread on the app. It’s a little tricky getting around inside the retro interface, but once you learn it, it’s a snap. This video will help, although note you can skip the step at the 1:00 mark as the app now supports saving natively to Blofeld format. Select “F_TYPE” 5 which is Blofeld. Enter the user slot you want to load the wavetable into betweeen 80-118. I’m just scratching the surface, but man this app is packed with cool features. There are other apps out there but these should get you going. 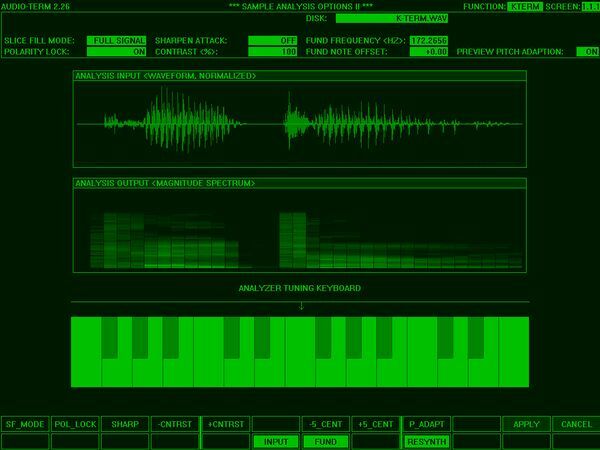 Waldorf implemented a SYSEX format for loadingn wavetables. You’ll note that in both the apps I mentioned above you have to specify the slot when you save the file in .SYX format. In other words, the slot number is embedded into the file. 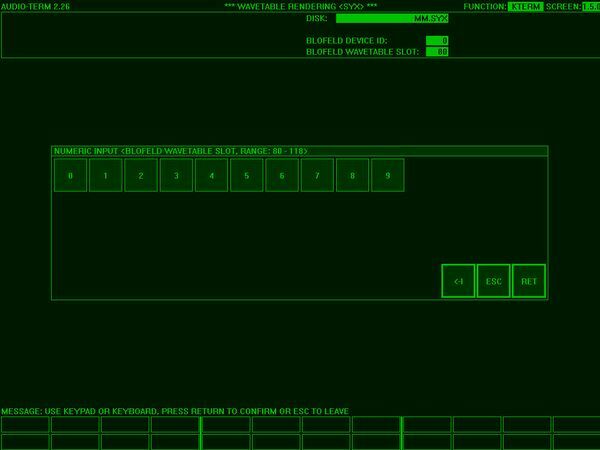 You can transmit the file to the Blofeld with your MIDI Sysex app. On Windows I use MIDI OX. A last tip for those who haven’t experimented with wavetable synthesis on Blfoeld. 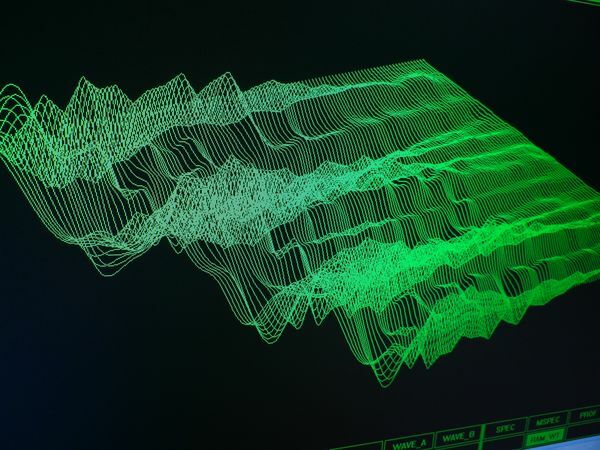 Like with factory wavetables, user wavetables can be used as sources for OSC 1 & 2. Parameter “Pulswidth” to set the starting point or manually sweep the table. 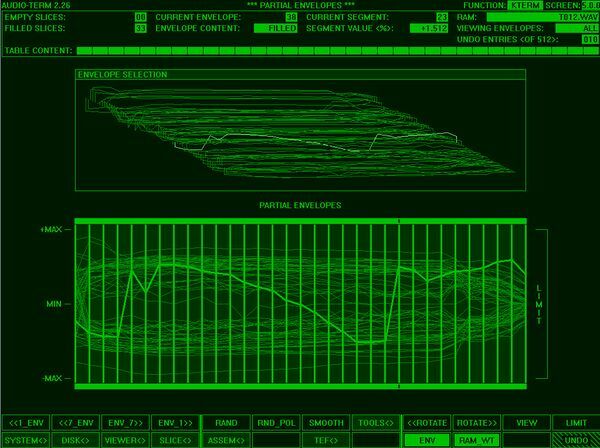 0 = first wave in the wavetable. 64 = middle, 127=last wave. You can automate this by specifying PWM source then adjust the amount of modulation with PWM amount. You can also set this up in the modulation matrix. An example would be to use an LFO or perhaps the Modulation Wheel to sweep through the table. 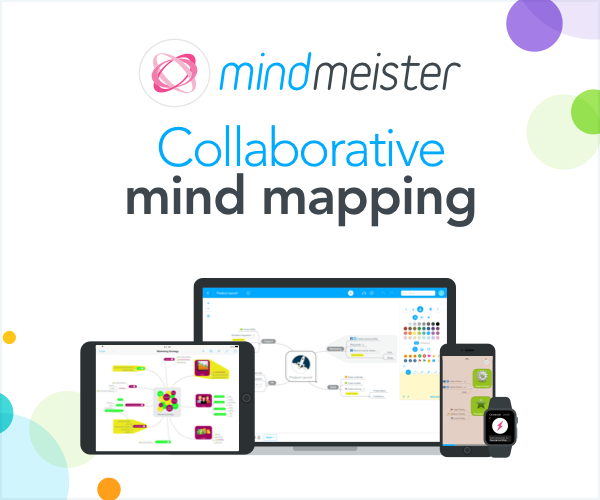 Hi Mark, do you know of any decent/similar apps that run on osx? Cheers! Hey Mark I’m confused on how to actually send the info to the blofeld. I have only had it for a couple of days.